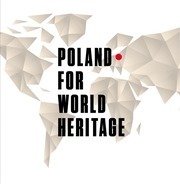 NID katalog poland for world heritage poland for world heritage Introduction 1. 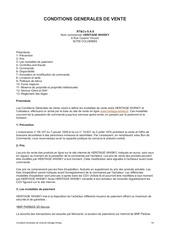 Rainforests of the Atsinanana (Madagascar) (N 1257) Year of inscription on the World Heritage List 2007 Criteria (ix) (x) Year(s) of inscription on the List of World Heritage in Danger 2010 Threats for which the property was inscribed on the List of World Heritage in Danger a) Illegal logging of precious wood species(ebony and rosewood) b) Secundary impacts of the illegal logging c) Poaching of endangered lemurs Desired state of conservation for the removal of the property from the List of World Heritage in Danger A Desired state of conservation has not yet been set. 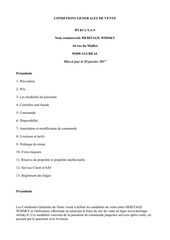 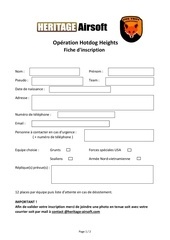 HERITAGE WHISKY 6 Rue Casimir Vincent 92700 COLOMBES Préambule 1- Prévention 2- Prix 3- Les modalités de paiement 4- Contrôles anti-fraude 5- Commande 6- Disponibilité 7- Annulation et modification de commande 8- Livraison et tarifs 9- Politique de retour 10- Force majeure 11- Réserve de propriété et propriété intellectuelle 12- Service Client et SAV 13- Règlement des litiges Préambule Les Conditions Générales de Vente visent à définir les modalités de vente entre HERITAGE WHISKY et l'utilisateur, effectuant un achat par le biais du site de vente en ligne www.heritage-whisky.fr. 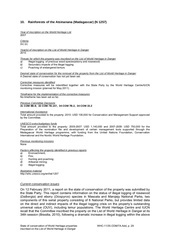 Draft Resolution Saving the Cultural Heritage of Iraq Agenda item 14. 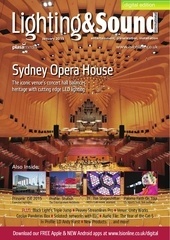 Tourism and heritage are often linked. 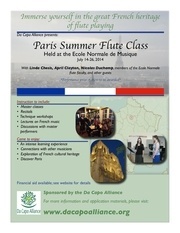 the European Heritage Days are now a highlight of Bordeaux's cultural September. 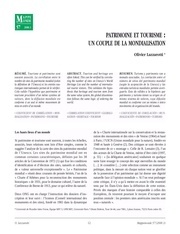 Fernando de Noronha EN Fernando Fernando de Noronha (Brazil) World Natural Heritage Document made by a traveller who visitated the island on November 2012 and who wants to share her questions about its management by the Brazilian government of the Pernambuco state, and her suggestions… for a“CHEAP PRESERVATION PROGRAM” and for a “WORLD THAT DOES NOT HAVE TO BE RICH TO ENJOY IT” Document made on January 2014 texte An archipelago facing the Pernambuco state (Brazil) Fernando de Noronha is an archipelago of 21 islands and islets in the Atlantic Ocean, 220 mi (354 km) offshore from the Brazilian coast. 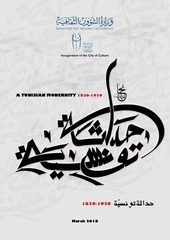 Catalogue modernité tunisienne ENG Inauguration of the City of Culture A TUNISIAN MODERNITY 1830-1930 1830-1930 March 2018 A TUNISIAN MODERNITY 1830-1930 Exhibition at the City of Culture March 21st 2018 – June 15th 2018 Ministry of Cultural Affaires General Directorate of Heritage CATALOG CONTENTS The exhibition “A Tunisian Modernity” was conceived and carried out by a multifield team under the scientific direction of Professor Abdelhamid Larguèche, Director General of Heritage. 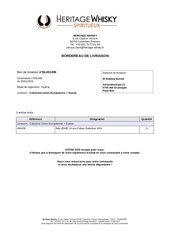 invitation 12 juillet FHS Denis de Kergorlay President de French Heritage Society Claude Martin	Jean de Lambertye Président des Amis de Reigny Président de La Demeure Historique Louis-Marie et Béatrice Mauvais sont heureux de vous inviter à la remise officielle du prix French Heritage Society - Philadelphia and Dallas Chapters 2013, le samedi 12 juillet 2014, à 16 h 30 à l’Abbaye de Reigny. 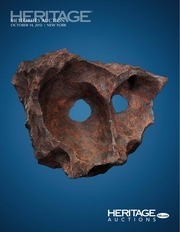 Foreground — the largest complete slice of the Abee meteorite (see lot 49116, page 90) Background — close-up of immense Allende slice with oldest matter mankind can touch (see lot 49004, page 11) Heritage Signature® Auction #6089 Meteorites October 14, 2012 | New York LIVE AUCTION Signature® Floor Session (Floor, Telephone, HERITAGE Live!,® Internet, Fax, and Mail) Ukrainian Institute of America at the Fletcher Sinclair Mansion 2 E.
Afin de valider votre inscription merci de joindre une photo en tenue soit avec votre courrier soit par mail à contact @heritage-airsoft.com Page 1 / 2 Les inscriptions ne seront prises en compte que lorsque Heritage-Airsoft aura reçu ce formulaire d'inscription, votre photo et le règlement de 20 euros. 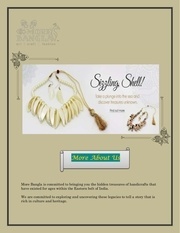 We are committed to exploring and uncovering these legacies to tell a story that is rich in culture and heritage. 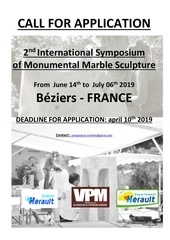 SUBJECT   Together with EPIC Hérault Culture, the VPM Association, Valorisation du Patrimoine Marbrier (marble heritage promotion association), are organizing the 2nd International Symposium of Monumental Marble Sculpture, in Béziers. 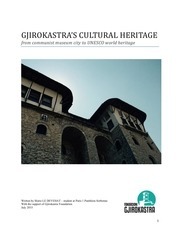 Paper GJIROKASTRA’S	CULTURAL	HERITAGE	from	communist	museum	city	to	UNESCO	world	heritage	Written by Marie LE DEVEHAT – student at Paris 1 Panthéon-Sorbonne With the support of Gjirokastra Foundation July 2015 1	Forewords From the top floor of the Ottoman style house called Zekate, I am watching the city of Gjirokastra. 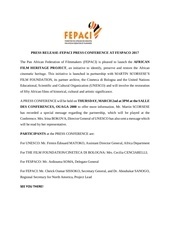 PRESS RELEASE bado PRESS RELEASE-FEPACI PRESS CONFERENCE AT FESPACO 2017 The Pan African Federation of Filmmakers (FEPACI) is pleased to launch the AFRICAN FILM HERITAGE PROJECT, an initiative to identify, preserve and restore the African cinematic heritage. 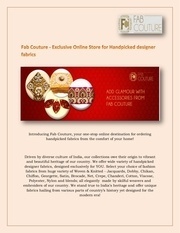 Driven by diverse culture of India, our collections owe their origin to vibrant and beautiful heritage of our country.